Migrant Emotions - Become a more settled migrant - Read The Book: Why Immigrants Need Empathy not Sympathy. Why Immigrants Need Empathy not Sympathy. “It must have been so hard leaving.” I took a step back and fumbled for the handkerchief I knew I would be needing. Amongst my muddle of thoughts there was a cry of 'Eureka someone understands!' I hugged my acquaintance-now-more-of-a-friend. She welcomed the hug because we both knew she had touched me emotionally, and the hug would hide my tears. Empathy. The understanding of emotions. Sympathy. Feeling sorry for the person. 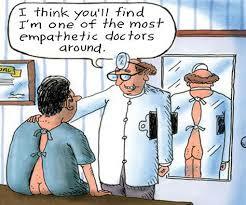 I would rather have empathy any day. Gave me a sense of relief at someone understanding what I was going through. 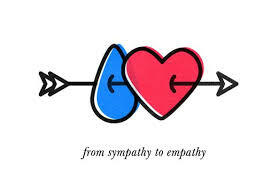 There is a fine line between empathy and sympathy, and sometimes the terms are misused. I have burdened them with my sadness. They may be thinking, if it is bad enough to make me sad, I should return to my homeland. I would rather that people understand I am glad about my choices, but there are times when it is difficult or sad. In my book, The Emotional Challenges of Immigration, Jessica, had two conversations within a short space of time. Jessica’s second conversation was with someone from her homeland, which helped her move on. ‘A short while later I talked with a fellow American who said, “Don’t you just hate it?” I almost felt like bursting into tears. At last I was able to think, “Yes I do hate it” Since then I have been able to find things I can appreciate here.’"
In the second conversation, the fellow American was able to show empathy. The first conversation shows that for many, it is hard to empathise. Why is it hard to empathise? Empathy takes a stretch of the imagination if you are dissimilar. From the feedback from people who have read my book, one said, “I didn't realise I had put my wife [an immigrant to his homeland] through so much. The other, on realising that by often correcting immigrants pronunciation, she noted that she had never thought of how it would feel to be frequently corrected. She vowed to be more sensitive. It takes active listening. Some people are better than others. There may be a barrier to wanting to feel empathy, for example, the first conversation Jessica had, the native-born woman wanted to affirm that her homeland was the best place to be. 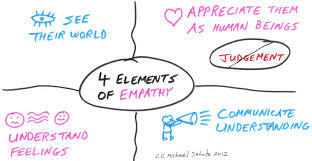 How can you help people empathise? Practice active listening yourself so that you can let others listen to you. Own your decisions to be where you are. Explain about your situation in a way that can be understood. When they see you going home to a visit, as a holiday, explain that as much as it is good soul food, it is rarely a holiday time. Describe your trips in a matter of fact way. Remind yourself of your reaction to immigrants in your homeland before you emigrated. Put yourself in their shoes. Have confidence that this sadness shall pass, but it is okay to be sad. Listen to other immigrants' stories and hardships. Accept that some people don’t want to feel empathy or sympathy for you or your situation. Perhaps they have their own issues they are struggling to deal with. Offer them my book to read. Acknowledge that we all have to work at empathy. I feel empathy for migrants who are emotionally challenged. I feel I understand what it is like to not have easy access to your family and friends. I appreciate that going back home to visit can be only be holiday like in so far as a change is as good as a rest. However, I admit that for refugees, immigrants who speak another language, my empathy does not come so easily. I have to use my imagination to put myself in their shoes, and remember that there is not one size fits all. I hope I can give them the empathy they need. The Mediterranean refugee situation has been emotive. The news coverage has stirred sympathy, empathy, disgust, intolerance and compassion. It wasn’t until the three-year-old was shown washed up on the beach that many took a step back and treated the migrants as individuals. Pain is inevitable, suffering is optional. With empathy at an individual level, we can help lessen the suffering.